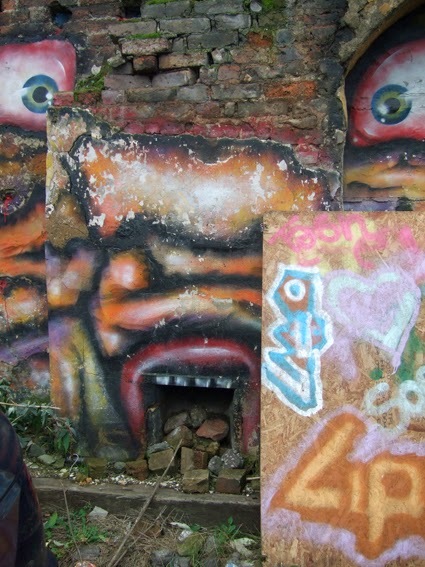 I find this a very scary painting around the fireplace of a derelict down house in Hoxton, East London. I photographed it last year and nearly posted it for Samhain as part of my Wheel of the Year street art posts, but felt the skeleton buzzing with energy was more suitable. However, I couldn't resist posting this picture too. I hope you have a happy, but scary, Halloween!